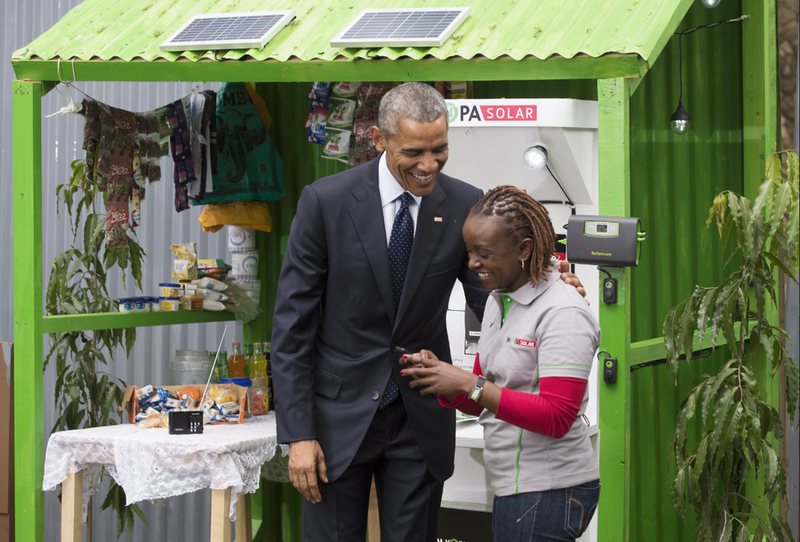 M-KOPA Solar is the global leader of “pay-as-you-go” energy for off-grid customers to rural Africa. 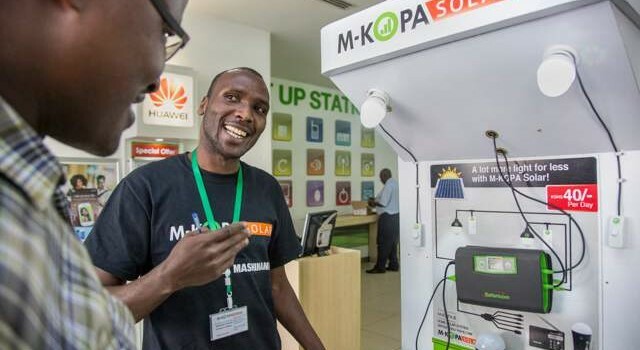 Since its commercial launch in October 2012, M-KOPA has connected more than 280,000 homes in Kenya, Tanzania and Uganda to solar power, and is now adding over 500 new homes each day. 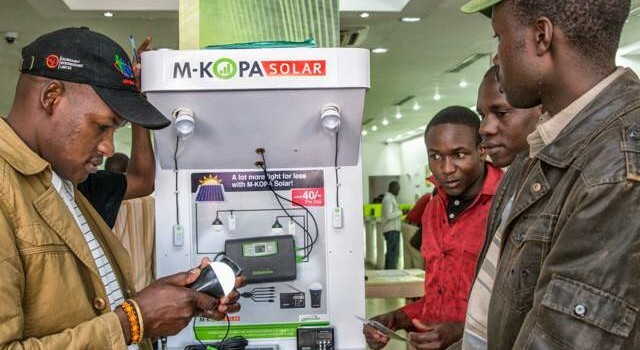 M-KOPA stands for M=mobile and KOPA= to borrow – aims to make solar products affordable to low-income households on a pay-per-use instalment plan. Initially customers acquire solar systems for a small deposit as per plan and then purchase daily usage ‘credits’ for US $0.50, or less than the price of traditional kerosene lighting. After completion of 1 year payment, customers own their solar systems outright and can upgrade to more power if they need. M-Kopa estimates that 80 percent of its customers live on less than $2 a day. Three-quarters of them rely on small-scale farming as their primary or secondary source of income; the rest run small businesses. Energy accounts for a significant amount of their spending. The company’s power system costs $200: It includes a solar panel, two LED bulbs, an LED flashlight, a rechargeable radio, and adaptors for charging a phone. The kit comes with a two-year warranty, and its battery is designed to last at least four years. It’s a perfect off-the-grid solar system for Africa, where land-based infrastructure is poor and electricity supply is frequently erratic. M-Kopa has sold about 300,000 units in Kenya, Tanzania, Uganda and Ghana. It sells 500 units a day and it aims to sell 1-million M-Kopa systems by the end of 2017. It employs 650 people in the four countries and a further 1,000 field agents, as reported by Forbes. M-Kopa’s founders’ background with mobile payments saw them looking for a way to apply that experience to solve other emerging market problems. Providing solar energy to people at the so-called “bottom of the pyramid” was it. M-KOPA has been recognised for its pioneering business model and scale, notably winning the 2015 Zayed Future Energy Prize, being selected as the top New Energy Pioneer at the 2014 Bloomberg New Energy Finance awards and earning the 2013 FT/IFC Excellence in Sustainable Finance Award, reports M-Kopa.